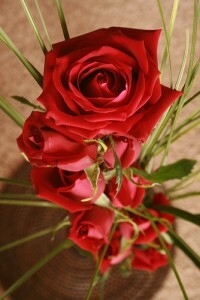 Not surprisingly, 37 percent of Americans are planning to give their special someone flowers this Valentine’s Day. Though the gesture is sweet, the price tag can be anything but. If you’re among those planning to buy bouquets this Feb. 14, here are several ways to gift them for less. 1. Cut in it half. Roses are the traditional gift of love on Valentine’s Day and if your sweetheart loves roses, then consider dialing down the number you send to save a bundle. A dozen roses typically costs $60, so cutting the order down to six beauties can save you $30 instantly. 2. Go to the grocery store. Since floral shops thrive on sales from this holiday, you won’t find many good deals. Your best bet is to scope out the options at your local grocery store. You can find lovely bouquets for less than $15, plus you can also pick up a card and candy in one trip. 3. Opt for a different type of flower. Roses are the most requested flower this time of year and as demand increases, so does price since growers beef up labor to prepare for the holiday. Opt for a different type of flower — like tulips or daisies — to save money without sacrificing style. 4. Check out warehouse store selections. Stores like Costco sell roses for less and you can usually find a dozen for less than $20. Though these bouquets may have a blemish or two, you can always remove the offending petals for a more polished presentation. 5. Enter a coupon code. Sites like FreeShipping.org offer a long list of coupons to save on flowers, so it’s pretty foolish to click “check out” without grabbing one of these money-saving codes. Flowers don’t last very long, making them a tough investment for most frugal-minded shoppers. Consider buying a planted flower that your loved one can appreciate for months and even add to the garden come springtime. Stores like Lowes and Home Depot offer large selection of beautiful plants and flowers, and Trader Joe’s has a selection of orchids starting at $7.99. 7. Do your own delivery. Regardless of the type and quantity of flowers you order, save on delivery charges by delivering the arrangement yourself. Not only will this save you up to $15, but it’s more romantic, too! 8. Look for a daily deal. LivingSocial is currently offering a $15 voucher for $30 to spend on fresh flowers from ProFlowers. Check out your favorite daily deal site for similar offers, and also keep your eyes peeled for deals from local nurseries or garden shops. 9. Buy a dollar store vase. If the florist adds a charge for a vase, tell them to take it off the order! Instead, head over to the dollar store to find a great selection of glass vases for just a buck.